“Ant-Man and the Wasp,” the Marvel Cinematic Universe’s follow-up to “Avengers: Infinity War,” got its digital home video release this week, with the blu-ray coming on Oct. 16. But while it certainly ties into the universe-shattering ending of “Infinity War,” it really leaves us with many more questions than answers about the big picture moving forward. Below you’ll find a whole pile of those questions, mostly revolving around the film’s mid-credits cliffhanger and what it might tell us about where we’re heading next year in “Avengers 4” and “Captain Marvel.” Let’s get on it, because it’s a lot. 1. How does the Quantum Realm even work? A) It doesn’t obey the same laws of time and space as our world. In the first “Ant-Man,” Hank Pym (Michael Douglas) said that our notions of “time and space” are “irrelevant” in the Quantum Realm, and in “Ant-Man and the Wasp” it’s said that time “works differently” there. Janet Van Dyne (Michelle Pfeiffer) clearly aged while she was trapped in the realm, but based on that comment, it would feel fair to guess that she didn’t age the normal way. Maybe for her, the passage of time was different in the Quantum Realm, so that she experienced much longer than 30 years while there, or maybe while 30 years passed in the real world, her subjective time there was shorter. Or maybe time occurred non-linearly for her. Or maybe it’s related to the other weird bit of Quantum Realm info she dropped: that you can encounter what she calls a “time vortex” there. B) It’s kind of an alternate universe. “There are so many stories that take place in the Microverse in the comics, which is obviously the Quantum Realm in the MCU, really about how kind of there are whole other worlds and civilizations and things like that,” Reed told TheWrap. “There’s some visual clues in there that if you look carefully you can see.” There’s a deleted scene included with the home video release in which Janet says something very similar to Hank Pym before they head back to our world. The Microverse of the comics is less a very small universe than it is an alternate parallel universe, complete with its own civilizations and peoples, reachable through shrinking and passing through a membrane — as Hank is descending to find Janet he certainly does pass through something resembling a membrane. Reed’s comments suggest there’s a lot more to the Quantum Realm than we’ve seen so far, and that it’s possibly inhabited by other people. C) It does… stuff to beings that visit it. Specifically, Janet van Dyne was trapped there for decades and survived — and when she was finally rescued, she came back with as-yet undefined super powers. 2. So what actually are Janet’s quantum powers? 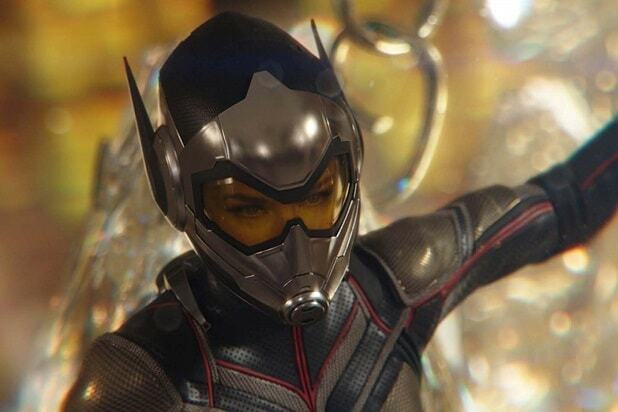 “Ant-Man and the Wasp” is frustratingly short on details about Janet van Dyne’s time in the Quantum Realm. What did she eat? Why did she make a sword out of her wings? Did she face any threats? And why did she age if time works differently?? But Janet says something weird to Hank when he finally finds her in the Quantum Realm and she, ah, stabilizes his quantum presence (not sure how else to describe it): “This places changes you.” Janet calls the changes an “evolution,” but aside from that stabilization move we don’t yet know exactly what that means. We assume it involves some kind of change to her body chemistry because she’s full of quantum particles or whatever, but the only real demonstration of the evolution we see is her ability to stabilize Hank while in the Quantum Realm, and later do the same for Ghost (Hannah John-Kamen) in the normal world. If her body has evolved, then presumably that could turn her into a whole different kind of superhero than she was as the Wasp. We just don’t know what kind that is yet. 3. Will being in the Quantum Realm change Scott like it did Janet? In the “Ant-Man and the Wasp” mid-credits cliffhanger, Scott Lang/Ant-Man (Paul Rudd) ends up trapped in the quantum realm during an experiment overseen by Hank, Janet, and Hope van Dyne/The Wasp (Evangeline Lilly). That’s because the scene takes place at the same moment Thanos (Josh Brolin) snapped his fingers at the end of “Infinity War.” While Scott survives in the Quantum Realm, Hope, Janet and Hank all turn to ashes. If Janet experienced an “evolution,” presumably the same thing will happen to Scott if he stays stuck in there for a while. But how will it happen and what will it mean for the story going forward? Those Quantum Realm abilities, related to things like the phasing power Ghost has, seem like they’d be very useful in dealing with Thanos in “Avengers 4.” With Janet potentially out of the loop thanks to Thanos’ finger snap, this could be a way for “Avengers 4” to make use of those Quantum Realm abilities in a different way. 4. Could Janet’s powers work in the Soul World? It sure seems that everyone who turned to dust when Thanos snapped his fingers is simply gone, but we think those people are still alive in a different dimension: the Soul World. That’s a major element of the Marvel Comics stories “Infinity War” is inspired by, and a big moment in that movie suggests it’s also what’s happening in the Marvel Cinematic Universe. If that’s actually the case, then Janet’s presence there could be a major wild card thanks to whatever “evolution” she experienced in the Quantum Realm. Her abilities are, potentially, unique in the Marvel Cinematic Universe, and perhaps could still work in the Soul Realm. All of this stuff is hard to make any specific guess about, though, because there’s really no comic book character with those sorts of powers in an equivalent scenario to compare. So unless “Captain Marvel” sheds any light on this, we’ll probably have to wait until “Avengers 4” to find out. 5. Does Janet’s “antenna” in Scott’s head still work? With Scott now stuck in the Quantum Realm, all bets are off. Especially because we know is it’s possible for people inside the Quantum Realm to communicate with people outside of it. In “Ant-Man and the Wasp,” we learn Janet and Scott became “quantum-entangled” when Scott went to the Quantum Realm in “Ant-Man,” creating a sorta-psychic connection between them that remains even after Scott returns to the normal-sized world. That’s how, when Hank and Hope briefly open a door to the Quantum Realm, Scott suddenly remembers more details about his previous trip there, and also gets a journey into Janet’s memories. Of course, Scott doesn’t seem to even be aware that Janet possessed him, so it feels safe to say that the rules of their, ah, intangible interactions are not firmly established. The main rule seems to be that a door to the Quantum Realm has to be open, but now Scott is in the Quantum Realm and Janet is wherever the people who were wiped from existence by Thanos go — which we believe is the Soul World inside the Soul Stone. We still have no idea how, if at all, those two dimensions interact, but if the connection between Scott and Janet persisted even after he came to the normal world, it might be possible for it to be re-established. That could help Scott figure out how to navigate the Quantum Realm, and maybe rescue people from the Soul World, giving the surviving heroes a huge boon in the fight against Thanos. 6. Did any of Janet’s knowledge of the Quantum Realm stay in Scott’s head? If the answer to the previous question turns out to be “no,” there’s still the possibility that now that Scott has returned to the Quantum Realm, he might remember some kind of important info from Janet about how to navigate the place. In “Ant-Man and the Wasp,” Scott didn’t remember Janet possessing him, but there could very well have been some kind of bleeding effect from their connection — or even something Janet could have left in his head for just such a situation. After all, she was able to plan for a lot of things in order to use Scott to get her out of the Quantum Realm, like leaving that “antenna” in his head when he went to the Quantum Realm the first time. 7. Could Ant-Man encounter a past version of Janet down there? We know very little about the Quantum Realm, but one big thing is that as seen in “Ant-Man and the Wasp,” real ideas of quantum mechanics are in play. For instance, the concept of “quantum entanglement” that explains how Scott and Janet are connected is a real thing; too complicated for non-theoretical physicists (including us) to really understand, but basically the term describes the ability of certain particles to interact with each other despite great distances, or appear to be in two places at the same time. It’s, uh, complicated. Meanwhile, if the Quantum Realm is also place of nonlinear time, and elements like quantum entanglement are in play, then that presents a weird possibility: Scott could find Janet in the Quantum Realm from before she was rescued. Basically, the Quantum Realm’s weird time rules could mean that, through no actions of his own, Scott could experience time when he’s down there in a way that is somehow different than we know it in the real world. That could be mean he finds himself at a time when Janet is still in the Quantum Realm — maybe even between the time they first met, and her eventual rescue from the realm. If so, Janet could provide Scott with a lot of information, and with the quantum tunnel still open, they could both potentially make it back to the real world, skirting Thanos’ snap. 8. Why does Janet know what a time vortex is? Right before Ant-Man takes his fateful mid-credits plunge into the Quantum Realm, Janet warns him to not “get sucked into a time vortex. We won’t be able to save you.” We can’t help but wonder how Janet would know that something is a time vortex and also know that they wouldn’t be able to rescue him if he fell into one without some kind of personal experience with one — it seems like it would a difficult thing to identify on sight, even for a scientist. Barring the possibility that somebody down there told her what they were — which is certainly a possibility — we would speculate that Janet has experienced a time vortex herself, in some way or another. 9. Did Janet know Thanos was coming? To put it differently, maybe the reason “Ant-Man and the Wasp” doesn’t get into Janet’s experiences in the Quantum Realm is because, like Doctor Strange, she has seen things that she knows have to happen in order for our heroes to ultimately emerge victorious. Because quantum. For instance, if her past self encountered present Scott in the Quantum Realm, then it seems likely he would explain the circumstances by which he got stuck there and she would know that she at least needs to “complete the loop,” as it were, once she gets out — Janet has to go back to the Quantum Realm in order to be discovered by Scott, rescued by Hank, and then send Scott back to the Quantum Realm in order for the two of them to meet up in her past. It’s important to note that Scott doesn’t know what happened up above that got him stuck down there. But if they do some kind of time travel adventuring then they might be able to figure it out. But we should probably just leave this question here: Did Janet already know something about this cosmic conflict when Hank rescued her and, if so, when did she know it? 10. Will Ant-Man still be stuck in the Quantum Realm at the beginning of “Avengers 4”? We think it’s exceedingly possible that a time vortex could put Ant-Man in the middle of the action in “Captain Marvel” — or at least in the middle of a post-credits scene. The same question could apply to Janet as well, if she also went through a time vortex at some point in the past. 11. Is the quantum tunnel that Ant-Man traveled through at the end of the movie still open? 12. Will Ghost and Bill Foster be important to “Avengers 4”? Ghost’s quantum phasing thing is a potential game changer in the war with Thanos, but she would actually have to be in that movie for it to play a part. We know from the mid-credits scene that Janet did not permanently stabilize her — Ant-Man goes into the quantum realm to collect “healing particles” to help Ghost — so presumably she still has her abilities to some degree, just without the imminent threat of whatever was going to happen to her when she became totally unstable. But as far as we know, Laurence Fishburne and Hannah John-Kamen are not in “Avengers 4.” That doesn’t mean they definitely won’t be — it just means we don’t know. 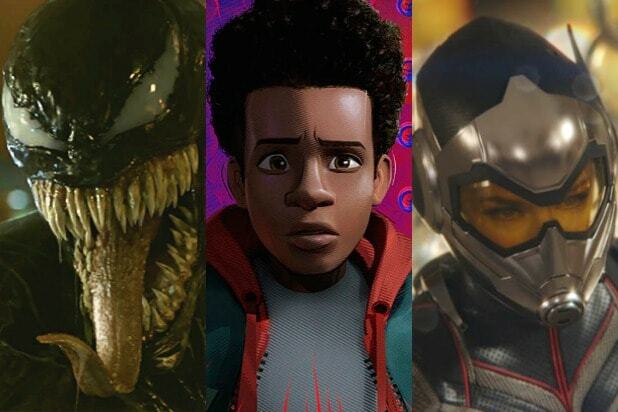 With such a massive cast it would be easy for them to be lost in the shuffle, and Marvel has been known to hold back potentially spoilery information like that. On the other hand, Janet’s as-yet-undefined quantum powers could fill the same purpose that Ghost would. But Janet is gone as of now and since we didn’t see Ghost and Foster turn to dust, they probably are still around. 13. Was Sonny Burch’s quantum tech buyer another potential villain? This might be an item for a later Ant-Man and Wasp movie that has yet to be announced or even discussed by Marvel Studios, rather than an “Avengers 4” item. Sonny (Walton Goggins) mentions that, once he realized that Hank and Hope were working on quantum technology with all the black market items they requested from him, he lined up buyers for their lab. Anybody with the kind of money and know-how to deal with quantum tech is likely a potentially big player in the Marvel world, which is full of scientists who accidentally create superheroes, become supervillains, and unleash problems for heroes to deal with. So who wanted Hank’s quantum tech (and also had the resources to pay for it, and was shady enough to rely on Burch to get it), and what did they mean to do with it? Can ‘Ant-Man and the Wasp’ Continue Marvel’s $100 Million-Plus Opening Streak?